Do you work for WordPress.com? "A web development solution with lots of capabilities and flexibility"
I love how easy it is to get a website structure up and running with WordPress. When I signed up, I was immediately presented with a website template that I could start working on with simple visual editing tools. There are so many templates with WordPress that I can usually find something that fits well with the purpose of my website. Aside from buying themes and plugins or hiring developers to assist with certain implementations, the basic cost of WordPress is very low and not much of a risk compared to many other DIY web solutions. I can sometimes get stuck in a place where editing and adjusting something, even something seemingly minor like the sizing or spacing of an object, can be complicated to do. There are occasions where CSS or some other coding knowledge may be needed to gain full control over design options. Getting direct assistance from WordPress, not including WordPress users, can be difficult. If you want a low cost method for developing a decent and professional website, WordPress can provide the tools that can at least get you in the right direction. If you run into any trouble, you should check out the many resources by WordPress users on YouTube and elsewhere. I've benefited from the WordPress development structure and easy DIY tools, which have allowed me to design web pages with intuitive tools that are easy to use, for the most part. I can get new pages or even whole websites posted online quickly by using a template, which there are many of in the WordPress universe. Whenever I need help, I can usually find a or get a response from someone in the WordPress user community. "There is a learning curve with the use of WordPress, but once you get going it is super easy"
You have the freedom to customize WordPress to your needs without any restriction. WordPress is extremely flexible, you can build and create any type of website you want. Its free to use. There are plugins that cost some but most are reasonable. WordPress gives you complete control of your website. You own and control your website files and data. You are not tied to a particular web hosting company and can use which ever hosting company you like. WordPress does not come with a built-in drag and drop website builder. It will takes you some time to get familiar with it and learn the basics. There are tons of videos out there to assist with this. You are in complete control of your website which means you have to handle all of your security. If you looking for a good solid base to start your website, this is it. I have been doing this for over 3 years and we have yet to outgrow what Wordpress can do for us. Once you learn the site, you can build an amazing platform. "A flexible platform that let's us create numerous types of web pages"
I like the open nature of WordPress, which allows for many outside developers to contribute to the platform by creating extensions and providing technical assistance through various messaging platforms. The WordPress platform itself is easy to set up, for the most part, and only takes a few minutes for the standard setup. I also like that we can install a template based on our website's subject matter. Being able to add code to make our website more unique is a real plus compared to other website builders. The quality of themes isn't so great compared to some of the other popular website builder platforms like Wix and Weebly. Though the basic functions of WordPress are simple to figure out, customizing a WordPress website extensively isn't that easy. There aren't as many drag-and-drop features as I'd like to see. WordPress can be a good web building solution for large and small companies with any size project in mind. There are enough tools to allow you to add nice-looking elements quickly and it also has the foundation for you to smoothly add your own code in a significant way. WordPress.com is a cheap and flexible system that allows us to host information pages, marketing materials, website forms, slide presentations and more for our business. It's a quick way for us to write, edit and publish written content that we use for our copywriting clients. 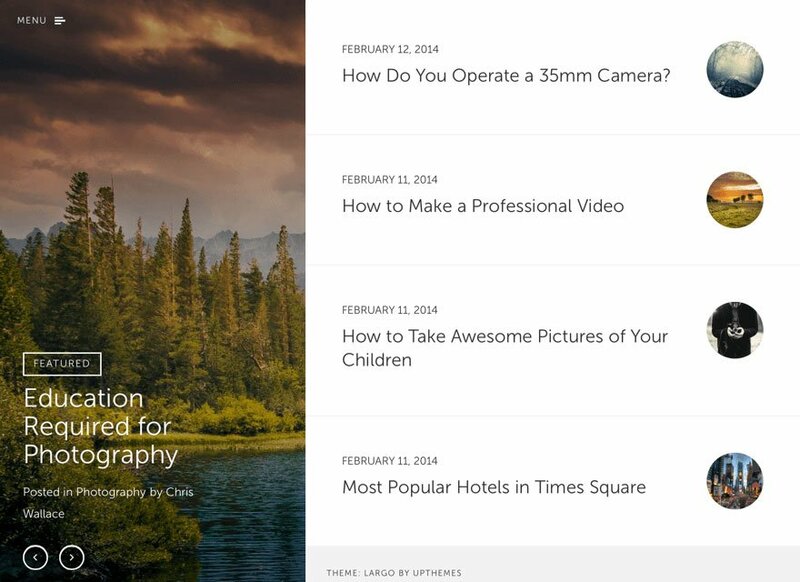 We can post content publicly to make it easy to access with a single link. "Great website building, but still need improvement"
The articles, websites and blogs creation is great even though it needs improvements. It makes blogs' articles and websites creation easier. There are many ways to build up what you want coding, drag and drop as well as simply writing what you want. WordPress' interface isn't intuitive is hard to understand and, furthermore, it's difficult to find what you are looking for. I would recommend considering all options. WordPress is great to create a blog and a website. However, it is not for everyone and you should consider other options. Based on your needs and knowledge of technology, another option could be better. We used Inbound Marketing and a big part of this strategy is to create content for our users. We had to create a blog and have decided to go with the WordPress blog builder (and also website builder). The benefit was to be self-hosted, be able to create our content ourselves and deploy it on our website. "The easiest way to create websites"
With WordPress, the process of creating websites is straightforward, the interface is user-friendly, and, the best part, everything is so well organized that is easy to personalize any page that you are creating with just a few clicks. Also, you can add all type of media to every website without problem: videos, photos, infographics, and multimedia interactive resources. Sometimes WordPress crashes without any previous warnings, and this causes that you should reinstall WordPress from scratch and start all over again, but in most cases, you can recover everything without that being a big deal. Also, if you are new to the programming world or web site development/design, you can experience some difficulties when creating a new website, but fortunately there are several WordPress tutorials down the web to help you learn the whole process. Smooth, reliable, cheap and fast, what more do you need? Wordpress is the best solution to gain new audiences to your product or company and have every kind of plugins available to boost your website. There are a lot of resources available to learn how to use WordPress and improve your web design's knowledge, you will want to use them to become a WordPress master. A blog post is one of the main tools when you are in the marketing world, so having a resource that allows you to create websites, land-pages, leads and more quickly is helpful. Also, as the platform is so easy to use, let all the content marketing companies diversify their work offers as you can easily create websites to fit your clients' needs and make them happy. Personalize websites themes is also difficult-free when using WordPress, as basically let you create websites from scratch that accomplish what clients needs, or even use one of the multiple theme's options that WordPress includes. "Wordpress is SO easy to use!" I am not professionally trained in website design, however, because of my job I am required to do some website management and blog posting. Wordpress makes it so easy and very unstressful. Especially when it relates to blogs, there are so many images, button, graph, column, gallery, etc., features that can be used to really make your posts stand out. It is also very easy to go in and make minute changes to your website like text and images. We have people who take care of the big stuff, so with that being said Wordpress is a great platform for professionals and beginners to use. Sometimes I run into issues when uploading images for some reason. This could definitely be on my end but it seems like there are very specific regulations for image types/sizes, etc., that can make it difficult to get things done as quickly as I need to. It is very difficult to find a phone number on the Wordpress website. I have yet to find one. I am old school and like to make phone calls when I am running into issues. Do your research so you can take advantage of ALL The amazing features apps and widgets Wordpress offers. Blog posts - This is a big one for our company. We are a company that needs to stay up to date and let our audience know what is going on. We do this with our blogs and Wordpress makes it so easy to design and post blogs that stand out. "The most complete and reliable CMS"
It is possible to create pages of all kinds and visually professional in a short time without being an expert. Once installed you can quickly set up pages combining photos and almost all types of media you want. It is totally free. Solving Wordpress problems is not an easy task: while it is easy to use, Wordpress is not easy to solve. In many cases, you may need to simply reinstall Wordpress if you encounter an error, which can mean wasting time and work. It is very easy to install and the learning curve is not very pronounced. I am not an expert in programming and I can say that I have created some very professional web pages just by following tutorials that I downloaded on the internet. So I recommend it widely. Wordpress is the best alternative to position a small business on the web quickly since good SEO. On my website I use it to publish all the advances on otolaryngology and facial plastic surgeries. It has been much easier for me to upload new content to my website and keep it updated. "easy setup and many add-ons available"
WP offers you many add-ons and widgets, to solve almost any problem or program a simple task, the best of all is that they are free and the installation is super easy, also has a community in which you can find documentation of everything, modification or problem you need to solve. some complements are difficult to understand or do not work, do not include documentation, it is necessary to search and search for hours one that is appropriate to the theme you are using. you can find a solution for almost any problem as it is the most popular web platform. Youtube itself has documentation and video tutorials to use wordpress. after a few hours of research and reading, it is possible to manage the platform properly, plugins and widgets help a lot in the tasks, it is possible to add and remove buttons with them without programming. WordPress allows people to build beatiful and functional websites. Furthermore the administratetion of the websites is easily done without having to spend many hours of coding. There are a huge amount of options because of all the themes and plug-ins created for WordPress. The best thing about WordPress is the community around it, which creates all of these tools for building a website. .
Because of the fact that it is the community, who creates the themes and plug-ins, WordPress is also limited by its community. It will not away be possible to create the website exactly like you wanted it without having to dig into a little bit of old fashioned coding. Furthermore, if you have a lot of different plug-ins installed on the website it will impact on the response time drastically. I would definitely recommedn Wordpress to companies that wish to setup a simple website and do not need the fastest or most smooth running website, but can do with less. However, if you are a bigger company, then WordPress is not enough. You need to have a better engine to run the website as smooth as possible and have the website look exactly like you want it to be. We are able to build a website that lives up to our demands, without the need of spending an extraordinary amount of ressources on it. Furthermore we can develop the website all the time and make sure that we keep up we administrating the website. This is a huge plus compared to buying an already built website from an external company. "El gigante de los contenidos en la Web." Comencé a utilizarlo con plan gratuito, me permitió crear mi primera página web con la mayor facilidad que se pueda esperar de una herramienta tan reconocida y de tanto impacto en Internet. Ofrece 6 Gb de almacenamiento, diversidad de plantillas para apoyar el diseño. Wordpress me ofreció un dominio gratis para mi pagina web. Ofreció soporte para aclarar mis dudas en linea. Fue muy fácil diseñar la página web y agregar elementos como imágenes y comentarios. Se trata de una interfaz intuitiva. en el momento que corresponda su publicación. en Internet y eso hoy en día es sumamente imprescindible. dominios de los cuales puedes escoger el que más convenga. Los costos asociados a los planes que ofrecen son accesible y justos. sencillo de usar no puede ser, más económico y accesible tampoco. Sin embargo, como todo lo gratuito sus prestaciones en este plan son limitadas, incluso los plug-in debes pagarlos si los quieres incluir. Recomiendo que al momento de iniciar la creación de sitios web,se tome en cuenta lo que ofrece WordPress, el cual no se queda solamente en ofrecer servicios o elementos para diseñar y preparar sitios web, sino que ofrece apoyo en dominio y alojamiento a través de sus diversos planes y prestaciones. Por otra parte, se integra con otras herramientas web que potencian el rendimiento y tráfico de tu sitio web, lo cual le da un mayor valor a WordPress ante otras alternativas. actualmente en mi trabajo se requiere publicar informacion en la web , como estrategia publicitaria del negocio; aparte me preparo académicamente y en muchas oportunidades mis proyectos e ideas deben ser publicados en la web y qué mejor manera de hacerlo que por medio de WordPress, un gigante en la construcción de contenidos para Internet. Además es un sistema que se integra perfectamente a otras tecnologías Web, lo que la ha posicionado en los primeros lugares en cuanto a gestión de contenidos. "WordPress is an easy to use software, ideal to build your website." WordPress is, at the same time, a simple and powerful tool. It is easy to use, intuitive and friendly. You do not have to be a graphic designer or to have a computing degree to use it. I am a teacher, and I use it to build simple blogs oriented to divulge information of interest for my students. I like this application because I can quickly put on text, images, simple animations and links; and you get an elegant and professional result. In addition, many downloadable and beautiful templates, some free other low cost are compatible with this application. Broadly, It is an excellent application to be creative and build your own websites. But, when you want to make more elaborate websites you need advanced knowledge in programming. Online support information is not always available. And, recently I have noticed that it takes longer time to load the updates that you make on the pages. Also, lately they charge you a low monthly fee for their use. In the past, I don´t remember have paid to use it. In general, It is an excellent application, to be creative and build your own websites. I recommend anyone to use this application. Professors, students, enterprises, anonymity societies and general public can get full advantage in this tool to divulging information of wide interest. With a slight introduction you can learn to create your own web pages. Personally, I use this tool in the educational field, since I am a teacher, I use it to disseminate information about tourism, hospitality, recreation and education. With this tool I can upload information of interest to my students and get feedback from them. However, I believe that its use is not limited, with the wide variety of templates available on the Internet, this tool may be used for any purpose or business idea. Best thing is availability of free evaluation, free templates. Even a not experienced user can make a website for business or personal block in hours. 1) Free plan doesn't include plugins setup, and variety of themes are limited. 2) A bit pricey plans. Despite of limited functionality of free version, it offers everything to support your website on moderate level. If you decide to purchase pro version, you will get one of the most powerful tool on the market. We use a lot of services in our company. Wordpress-based websites became the best solution found on the market. After a recent update, content management becomes easier , so even non IT personnel could use it to update content on various websites. Therefore, minimum additional IT support required to maintain the website. "WordPress - makes hosting a website 80 times easier!" I had a website hosted on a different site before switching to WordPress to actually build it. Had I tried to build the site on the other domain hoster, it would have been an absolute crapshow. As it stands, WordPress cut the time it took me to get my campaign website up tenfold. Also, the analytics WordPress provides are top-notch, especially for being free. WordPress is extremely user-friendly and all in all an incredible resource, but it updates quite frequently, and if you're not careful about backing up your site those updates can easily change your site without warning. A mitigate-able problem. WordPress is definitely the best of all possible options for website hosting and development, but it has its own quirks, including the update point I mentioned in likes and dislikes. Despite that, I give WordPress my full and unequivocal recommendation. It has earned my respect, and even though my campaign for the precinct delegacy has finished, should I have further campaigns I intend to turn to WordPress to host my campaigning in the future. I needed to build a site for my political campaign. WordPress gave me both a space to build and a space to host. I had the latter but didn't have the former, and to have both in the same place was a huge benefit. Also, due to WordPress's intuitive nature, the website when finished looked professional. "there is no better creator of websites than wordpress"
wordpress is the best ally to create websites, mainly I use wordpress because first hand when I start I have a web page ready, the only thing I have to do is modify the site that wordpress gives me how I want my page to be displayed. web, with a very simple way I can add images, videos, menu, sub menu, logos, among other things, I really like wordpress because besides it is the easiest software to use I can write and upload articles to the internet with just one click , in these articles I can add them to a menu, I can even include them in categories, which in wordpress I can order each article mediating whatever is my convenience, it is the most complete and original platform to make web pages, even it is the best platform where I have been able to improve the SEO of my website thanks to its different plugins that guide me in the improvement of my web. what I do not like is the constant updates that I have to do to the whole platform to keep it safe. at the level of SEO wordpress has a high advantage compared to other platforms, thanks to its plugins I can make my website have an excellent SEO without having to be a professional in this subject. "A Complicated but Great Platform for Websites & Blogs"
I like how customizable everything is with Wordpress when it comes to website and blog management! It makes building and maintaining a website much easier than hardcoding a website. 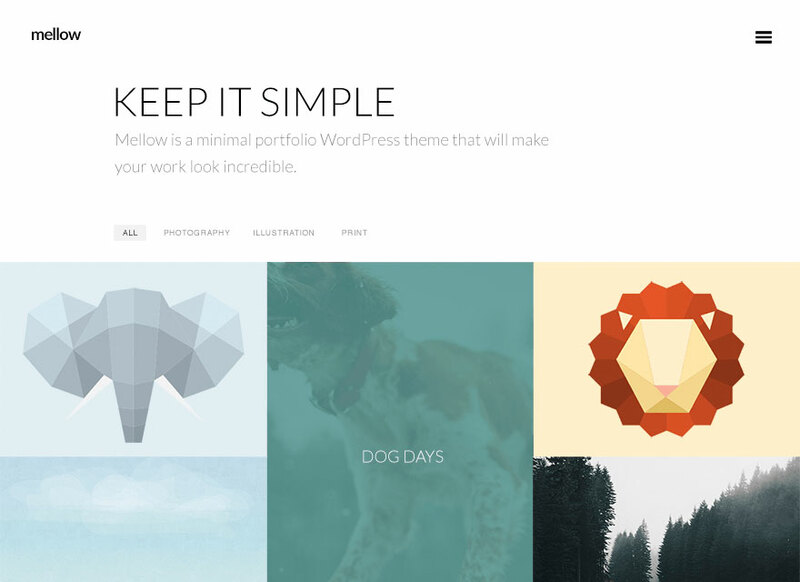 There is a plugin or a theme for everything you could possibly need or want out of a website! It is not user friendly and almost overwhelming! It takes a long time to learn and sometimes the documentation isn't the most helpful. The backend/admin can be really complicated and not at all intuitive, but the platform makes it so anyone of any level can manage a website or blog. It is fairly simple to completely change the look/feel of your website with the themes and plugins available. It's really great! Building and maintaining websites is easier than ever with Wordpress! We can build a site and pass it off to a client for them to manage or update as needed. "Excelente herramienta si buscas posicionamiento"
Es el mejor en SEO si lo que quieres es posicionarte en primera página con un nicho sin explotar o poco explotado, os cuento el caso personal, con una web creada en apenas 2 semanas y con un nicho medio, es decir, que había páginas web para poder hacernos frente en las búsquedas de google, como digo en apenas 2 semanas éramos segundo resultado de búsqueda, ahora somos los primeros incluso habiéndonos mudado de wordpress.com a wordpress.org, quedando wordpress.com para la gestión de plugins, comentarios y jetpack. El bajo nivel de personalización que te ofrece Wordpress.com incluso en sus planes premium es quizás lo peor que tiene, a menos que pagues por el plan business que tienes casi total control, pero claro, a un precio muy superior que su versión wordpress.org con un buen hosting, aunque tengas que instalarlo allí. Si Wordpress.com se te queda pequeño, puedes pasar a su otra versión, Wordpress.org, aunque necesitarás un hosting y un dominio propio comprado (alquilado) a un proveedor, empresa o similar. "Tu web en pocos clicks"
Lo cierto es que sorprendentemente, con todos los usuarios que tiene, Wordpress es quizás la página más rápida desde el comienzo para tener tu página web, además es estable y no se cae, para las personas que reciban visitas frecuentemente y a muchos horarios distintos, puede ser una gran apuesta, sobre todo por su asequible precio, siempre que quieras renunciar a la personalización. Si quieres que tu web tenga un SEO impresionante sin conocimientos sobre ello, no lo dudes, contrata un plan con Wordpress.com para obtener dominio y algo de personalización. En la oficina lo usamos para gestionar plugins, ya que hemos pasado a Wordpress.org, que aunque no mantiene el punto bueno, la velocidad, ya que depende del hosting que contrates, sí tiene el de personalización, que nos parece más importante a nuestro nivel de escalabilidad. Tuvimos la página web con wordpress.com y la verdad es que era muy rápida, estable (no tenía caídas ni nada por el estilo), por lo cual eso puede ser con total certeza lo mejor, su fiabilidad de que van a poder acceder a ti de manera rápida, sin cortes y aprovechando la velocidad de internet que tengan. El SEO, lo mejor de Wordpress.com es sin lugar a dudas el SEO, te posiciona de manera rápida en tu nicho si es medianamente específico como primer resultado de las búsquedas. A pesar de todo, wordpress en su versión .com está muy limitado, incluso tienes limitaciones con el plan business, el más caro, por lo tanto nosotros nos pasamos a su versión .org y hemos cambiado el uso que el dábamos a uno uso meramente de gestión. Wordpress tiene dos versiones, la .com y el instalable, que es la .org, si quieres algo sencillo sin molestarte mucho o preocuparte de que se caiga, el .com es el tuyo, si quieres una versión totalmente personalizable pero debiéndote preocupar algo más, la .org es la tuya. Tras nuestro cambio de uso, de hosting, página o como lo quieras llamar a un servicio de gestión de plugins como Jetpack y otros, Wordpress nos sirve para manejar configuraciones de manera rápida entre plugins desde una sola web, sin tener que ir cambiando de página, plugin y demás. "Great for coordinate your hosted WP"
It is like hell coordinate all plugins configuration (those ones that have an external using, like Jetpack) but in Wordpress.com you can make it easy, without need of log in on your website admin panel, because usually is fast to do it in Wordpress, your website must to have too much security if you want to avoid hackers and unwanted people. Plans offered are so much expensive for little features (and pro ones are more expensive than a host, domain and install WP.org product. You need it for deploy some plugins in your hosted WP, so it is required for WP.org, anyway wordpress can solve your problem for a simple website very good.
" Easy to design website using Wordpress"
The best of the WordPress system is its behavior in the network, it is stable, very intuitive, the domains run fast and since the WordPress team keeps it updated, there are no conflicts in plugins or templates that could lead to crashes or failures in the execution of the cms. I think it is very good, ideal for first-time users without knowledge, it can become a great commercial tool for hundreds of small businesses, SMEs or self-employed giving them the ability to attract new users, generating more traffic and making their products known, brand or service in the network of networks. I create sites quickly, which can be very useful to launch websites or blogs that do not need much technical maintenance on my part, devoting most of the time to create content. "Plataforma perfecta para la construcción de páginas web"
Es un placer crear sitios en esta plataforma. WordPress es merecidamente considerado el mejor sistema de gestión de contenido debido a su simplicidad y extensibilidad de complementos. Los complementos son para todos los gustos y a cualquier precio. Wordpress es una excelente forma de comenzar en el mundo de los blogs o los negocios. He estado usando WordPress durante bastante tiempo y hasta la fecha no he encontrado ninguna característica o funcionalidad que no me guste, por otro lado, le dará a su empresa un gran empujón. Comienza eligiendo el tema más adecuado, le aconsejaría buscar temas que aporten complementos gratuitos adicionales. Toma el seminario web si está disponible. Aprendí muchos consejos geniales e internos cada vez que lo ví, lo que me ayudó muchísimo. Configure una "cuenta falsa" no pública para descubrir todos los diversos elementos involucrados con Wordpress. Se sorprenderá de cuántas funciones diferentes están disponibles y a un costo muy razonable. "Ideal para comenzar una idea online con recursos potentes y cero conocimiento"
Lo mejor del sistema wordpress, es su comportamiento en la red, es estable, muy intuitivo, los dominios corren rápidos y ya que el equipo wordpres lo mantiene actualizado nunca hay conflictos en plugins o templates que puedan derivar en caídas o fallos en la ejecución del cms. Ninguna, Creo que esta muy bien, ideal para usuarios primerizos sin conocimientos, puede llegar a ser una gran herramienta comercial para cientos de pequeños negocios, pymes o autónomos dándoles la capacidad de captar nuevos usuarios, generando mas trafico y dando a conocer su productos, marca o servicio en la red de redes. Creo sitios de manera rápida, los cuales pueden ser muy utilices para lanzar webs o blogs que no necesiten mucho mantenimiento técnico por mi parte, dedicando la mayoría del tiempo en crear contenidos. Some of the features which might be essential to you might be available only if you pay the price for it. For example, if you need a domain name, you'll have to shell out those extra bucks. As mentioned earlier, plugins are essential to achieve some functionalities. I have hosted my personal webpage using Wordpress.com. As far as the benefits are concerned, you can make quick modifications. There is no need to worry about security as the webpage is hosted by the software provider themselves. EASY: WordPress does not require PHP nor HTML knowledge unlinke Drupal, Joomla or Typo3. A preinstalled plugin and template function allows them to be installed very easily. All you need to do is to choose a plugin or a template and click on it to install. Plugins: The script has over dozen thousand of plugins available on its website. They are the reason WordPress is considered a CMS, not only a blogging script. Strong majority of the plugins is available for free. Templates: On the scritp's homepage you can view thousands of graphics templates, that can change your website's look. You can find there both free and paid templates. The paid ones are often more advanced as well as more interesting. Menu management: WordPress menu management has extended functionalities, that can be modified to include categories, pages, etc. Non-standard fields: You can easily add fields to forms by yourself or using plugins. It will allow your blog or subpages to have additional labels, categories or descriptions. Modification requires knowledge of PHP: Operations like removing a date field requires some understanding of PHP language. It is the case for most of such modifications. Graphics modification requires knowledge of CSS and HTML: Although there are plenty templates available on the homepage, most of them are very alike. To create a unique look, you need to know CSS and HTML. Plugins and efficiency: To compete with Joomla! or Drupal, WordPress needs plenty of plugins to be installed. Unfortunately these plugins influence the script's efficiency and not in a good way. Another problem arises when you need to choose a plugin for a specific functionality. Among all the thousands of plugins, most of them have their clones. It means, that any given functionality can be added by several different plugins created by different authors. Sometimes choosing the right one may take quite some time. PHP security: The script is not protected as well as other applications. It all depends on how sesitive is the additional content of your page. Tables and graphics formatting: Modifying tables or graphics format can be more complicated than in other applications like Quick.Cms or Joomla. SQL queries: Queries can be complex since all additional non-standard fields that make WordPress a CMS, require additional syntax. 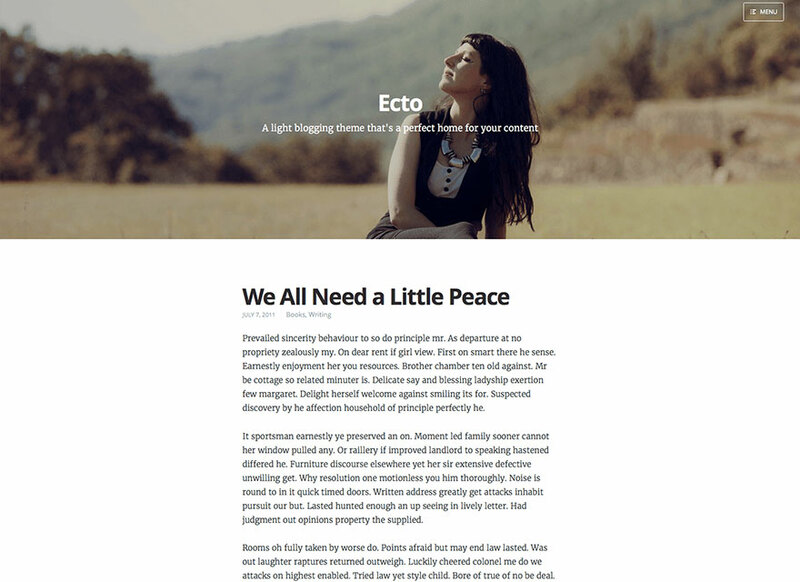 I like that wordpress has a HUGE selection of themes to pick from and the clean interface it ha for blogging. i also enjoy how it acts similar to social media where he public can see your blogposts and read/react to them versus any other website builder that has a blog but doesn't have that interface of interaction with other people/blogs. What I dislike about wordpress is that it took me a long time to use. It was difficult for me to change the hang of and I had to look up so many videos and articles how to use some functions. I used weebly, webs, wix, and dabbled with squarespace and all those functions I can use easily. Wordpress to me was so difficult for me to find some buttons and functions , in a sense it was organized strange for me to find what I wanted to use on my blog. It was pretty frustrating but now that I've gotten the hang of it I still prefer weebly but I really like that wordpress has an audience they can actually rad my posts more than likely than other website makers. What I also don't like is it's kinda pricey and you are given so little for creativity. I'm a college student so I don't have the luxury to splurge on my dream blog at the moment versus on weebly I can do what I want and what wordpress can't do, all free. Wordpress is pretty well known so I don't know what their goals are. But for me I'd apperciate like a student discount (like squarespace) or like a "drag-n-drop" website/blog builder rather than going to different pages to build one thing. With Wordpress I'm solving business problems by having an audience/following I didn't have. Benefit from that it helps me become a start up for myself as an influencer. I like how simple it is to understand for someone who is new to building a website, but it also allows a lot of flexibility to professional coders. I also like that you can manage more than one website. I also like how Wordpress gives you news of popular websites and what you can do to improve your own website experience. I also like all the plug-ins you can add to your site, in order to make it more your own. I dislike that the free templates are not as engaging as the ones you have to pay for. It would be great if users could test run paid templates for a few months and then if they like it and it works for their business or brand, then they can pay for it. I would suggest setting up your website first before going live. The templates are ok but if you want a really good one with more interactive features, you will most likely have to pay some money. There aren't any specific problems I'm solving with Wordpress other than having a free website to express myself and my work. Having a Wordpress site is very common and has helped legitimize my business. I love the ease of use as well as custom templates. When using WordPress whether it be for website building or even updating your company's blog it is one of the most user friendly sites out there. Sometimes the template's fonts do not look like they belong and you have to play around and spend a lot of time adjusting font, size and coloring. I would really get in the site and play around with the different features just to get used to how it all works. Blogging for your site is so easy with WordPress, just make sure you find the right size picture for your header or it can turn out distorted. Using WordPress makes it where almost anyone in our office can update the site or blog. The benefits are real time changes to your site you do not have to wait for everything to be approved some other sites you won't see your blog or site change for at least 48 hours. Wordpress is super user friendly and the best blog site I have ever used. Many of the other blog sites I signed up for before Wordpress were very difficult to figure out and made me frustrated. I do not like that your blog is always the first page that shows when someone visits your page. I know blogs are the main focus on this website, but I would like my about page to be the first page that shows when someone views my profile. If this is a feature I can use, I have no idea how to find it. Wordpress is a great free site that allows you to post freely and as many times as you like. I love using it and had so much fun designed my page. Wordpress helps get the word out for our non-profit easily. It allows users to search by key words and as long as we tag our post to certain Key words people will find it easily. "Bastante sencillo para personas con un nivel mínimo"
Este gestor de contenidos es sencillo de utilizar para personas que no entendiendan tanto de código. Es muy visual e intuitivo y además en internet hay mucha información de como hacer todas las cosas. Para personas que tengan más nivel, pueden coger una plantilla y adaptar el código según a lo que necesites, ya que podrás tocar cualquier parte del código sin ningún problema. Lo que me gusta menos, es que se debería de revisar mejor los plugins que se suben al repositorio. Algunos dejan mucho que desear y no hacen de forma correcta su función. Utilicen este gestor de contenidos si queréis empezar con un nuevo proyecto, sin tener apenas experiencia en páginas webs. Con un poco de dedicación todos los días conseguirás optimos resultados y personalizar su página web personal o de empresa a su gusto. En el caso de tener dudas, existe un foro de wordpress que te suelen contestar en el mismo día, incluídos algunos fines de semana. Varias webs de clientes nuestros. Para el cliente final es más fácil estos gestores de contenidos que otros. "Wordpress makes websites easy and user friendly"
Wordpress is a must have for someone who is looking to create an online business or any website for that matter. It offers thousands of free or paid plugins to make the whole experience easier and faster. There are also hundreds of themes you can choose from or even upload / create your own for a more unique look. If you're looking to get into web design or web development, you should try wordpress as many people are now using wordpress as their go-to. As there are many different ways of creating and editing a wordpress site due to the amount of themes and plugins, sometimes it can become confusing of how to do even the simplest of changes if the theme is different to what you're used to. Although the support is usually very good at solving issues. For those that are looking to make or edit a website, wordpress is a must have, It makes everything easier. I would recommend that you have some coding understanding and good server space as wordpress sites can be quite large. Wordpress has made web edits and migration processes very easy and helped us become proficient in wordpress and wordpress based clients. There are so many people who use wordpress for online shops,landing pages and whole websites that it has become a must have. I love Word Press because you can create a template/article in seconds! I used this in a language course at University. I published numerous articles simply by typing the text in appropriate boxes. You can incorporate media (photos) directly into the text too! Finally, I loved how you could organize your articles; you could publish one post or create separate folders. Pasting text directly into WordPress did not work that well. The text would automatically alter the fonts, font sizes, and spacing. It made it difficult to post an article quickly if inserting it from an outside source. I would have to take extra time to redo the format. I would recommend using WordPress to anyone. It is easy to create websites. I even used this website software within another platform! It is simple to add links, photos, text, and so much more! 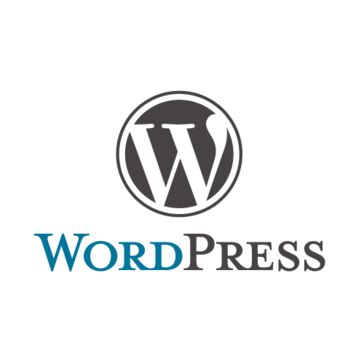 WordPress enables students, employers, and individuals to form intricate sites. I am now able to create websites with specific tabs, formats, and posts. However, it is not an overwhelming process, all thanks to WordPress! You don't need much computer software background or anything of that sort! "Build your own website, even an amateur "
What I like best about Wordpress is how easy it is to learn once you get past the learning curve. A few tutorials and you are on your way to creating your own website. I also like the versatility of themes and options I am given. I wish some themes were easier to use. The Avada theme is the most user friendly, however there are other themes I would prefer, but because they are too complicated I end up going with the easier to navigate option. Make sure you pick a theme you are comfortable with, browse around and see which one is beginner friendly. Or watch tutorials based on your selected theme. Being able to host our own domain, instead of having a third party contractor make revisions for us, we are able to do our own revisions in real time. "Entire business runs on WordPress based website "
Our website and business run on WordPress. We're able to take care of customer accounts and tinker with other backend things with ease. Plugins galore. A lot of our customers even use WordPress so it just makes it even easier. I myself work with end-user support and social media analytics so for customer needs, I am able to pull up accounts and get to the bottom of issues relatively fast. I do wish it there was SOMETHING I could do when someone deletes an account from our system. Not sure if its a WP related thing but once it's gone it's gone and I have no way to search for anything except that they once had an account. It literally gives our customers a way to access our business. So basically we wouldn't have a business without it. And of course, the price is beyond right. "Helps me feel like a Website Designer "
Setting up the blog and writing the posts itself is fairly simple. Good for people who want a website but don't have experience with coding. There were a few things that I had trouble learning by fiddling around (eg. attaching plug-ins) but there are a lot of great resources online that I could follow. I have used both Wix and Wordpress, and I found that WordPress is superior in the sense that you can easily publish your site and be able to find it, even if you have no knowledge about SEO. I published a Wix site a year ago, and I am still unable to Google it unless I type in the exact address. However, with my Wordpress sites, I'm able to type in a few key words - even when I didn't set up the meta descriptions. We wanted a blog to post articles about tutorials or industry trends because we felt that this was a good way for our users to see the brand as something more than just a product! "It's easy to create, customize and update your site"
It's good that you can easily install plug-ins, templates and updates. I like that I can customize my blog in many ways: adding categories, different links to different parts of my site, a template, colors. There is also a button so you can feel how many people like your message. Excellent customization options. A huge number of plug-ins at the same time. If you decide to stop your choice on this program, immediately think about buying the full version. Expensive built-in themes. It happens that the topic really liked, but its layout is very bad, and you need to change the whole topic. The interface is not very friendly, sometimes it takes a long time to see how to change something on the site. With this tool, you can simply increase your business, because you will have a professional website and you will be able to grab customers for you. I noticed that this platform helps to support the interaction with the public, as we can make comments on, and this is very clearly visible to the clients. This platform is the most common option for a personal blog or a small website. If you do not have technical knowledge, the program helps you, making it easier to manage the web page, it has different templates that will improve the visual aspect of your page. This platform is wonderful for daily updates, I recommend all people or companies to be in the first places of popularity and authority.